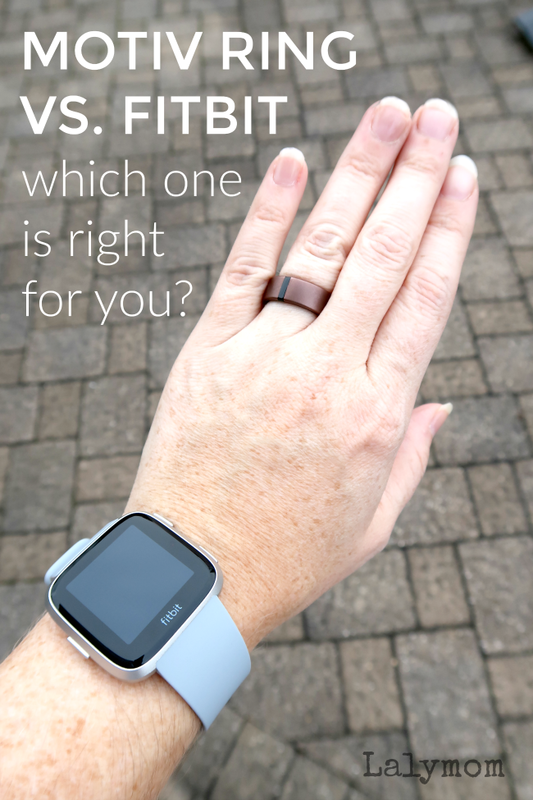 Motiv Ring vs. Fitbit – Which One is Right for You? 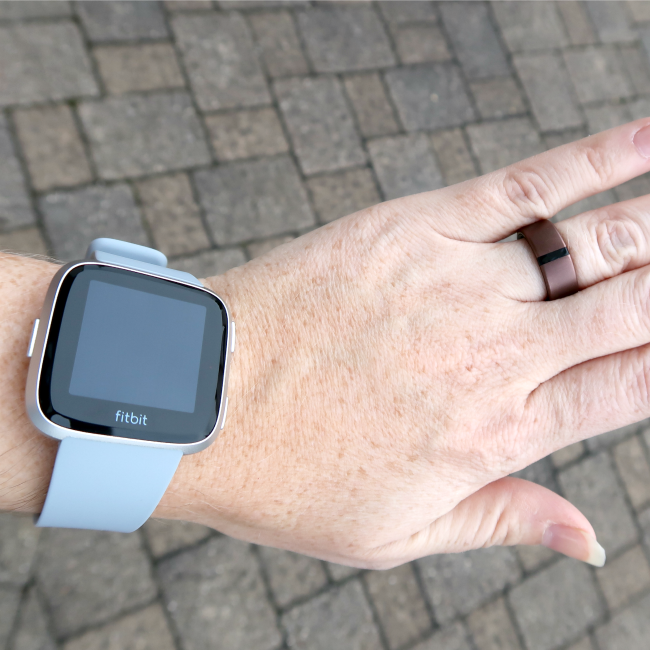 This week I got a glimpse of future of fitness trackers when I slipped a Motiv Ring onto my finger. This Motiv Ring Review shares the pros and cons and compares it to the fitness tracker titan- the Fitbit! Direct partner affiliate links are used in this post. 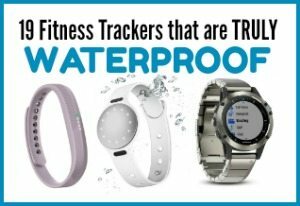 You guys know me, I'm a fitbit fanatic- and beyond that I am adamant about having a waterproof fitbit! So when a friend gave me a heads up about a fitness tracker ring that was actually waterproof, you can imaging my delight! 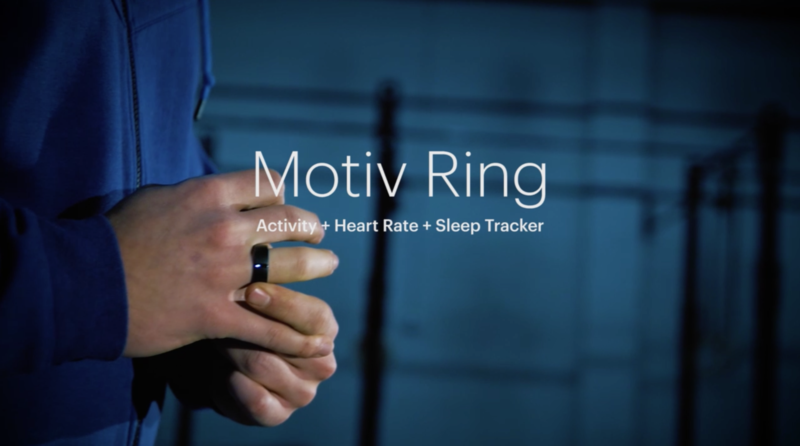 What is a Motiv Ring Fitness Tracker? That's right- the Motiv Ring is a fitness tracker that you wear on your finger, not your wrist or waistband- but how does it stack up to the competition? My Motiv ring tracks active minutes, steps, heart rate and sleep- all in a sleek, lightweight titanium shell. No more silicone wristband! I chose rose gold but at this point it also comes in bright silver titanium and black titanium. 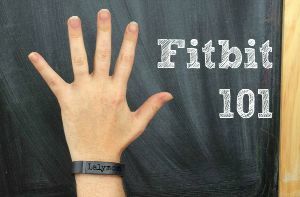 Let's go through the process finding the right size for your Motiv ring and some of its features before we talk about how it compares to a Fitbit. Black Friday: $30 Off Your Motiv Ring plus Free Shipping! Valid Nov. 23rd Only. No code needed. 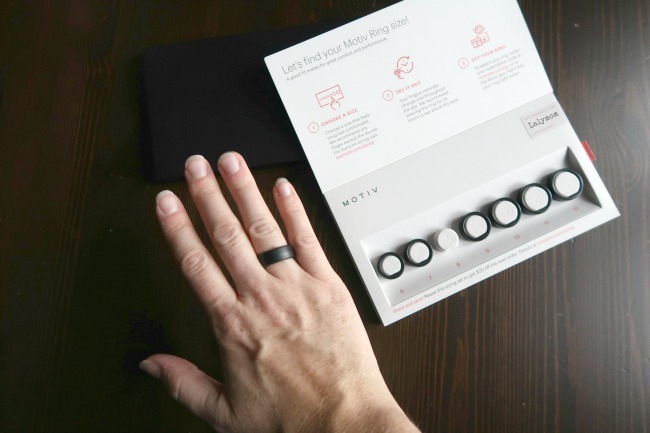 It might sound tricky to pick out a ring on the internet but Motiv Inc actually came up with a great system. When you order your ring, you are first sent a package of ring sizers that have the exact size and shape of the Motiv ring. You pick the size that is right for you, and they suggest you wear it for a day since your hands tend to swell at certain times of the day. Once you have your size, you can go online and log into their website or your MyMotiv app and claim the size and color you want. I expected this system to take forever but the whole process was very fast. One you get your ring, you plug the charger into a USB hub and charge it up. Even the charger has a sleek design. Then sync your ring with the app to make sure all your data will be transferred to the app. Motiv ring is a fitness tracker made of a sturdy but thin shell of titanium, which houses the battery and accelerometer, along with other super impressive components that were all custom made by the Motiv team to fit into a tiny ring format. The ring itself is designed with beauty and simplicity in mind. There are no watch faces or display faces to choose. It's a gorgeous ring and that is it. There is a small, thin, black bar on the front which is where you look for indicator lights (they let you know it's syncing or charging but they are not on continuously). On the inside of the ring there is a flat section which is where it attaches to the charger. I was worried that it would be uncomfortable because I have slightly webbed fingers and the ring seemed a little thick. 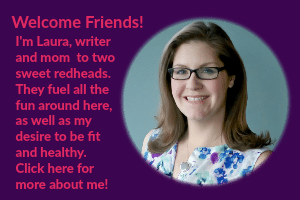 I actually find it it to be very comfortable and I get a lot of compliments on it to boot! I like that it is unobtrusive and not very athletic looking. 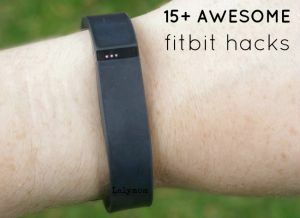 With my Fitbit I either feel like I have to dress it up with accessories or leave it at home when I need to dress up. Motiv ring doesn't have the same problem. I wouldn't hesitate to wear it in an office setting, and I even wore it to a charity fundraiser with a cocktail dress last week. I know the athletic, silicone look of many fitness trackers is a major turnoff for a lot of people, so if I've convinced you to give it a try, head on over and buy a Motiv Ring for yourself! I already mentioned one of my favorite features, which is that the Motiv Ring fitness tracker is totally waterproof. The waterproof rating is to 165 feet. So not only can you shower, wash dishes and give the kids a bath without worrying about it but it can tag along for swimming and water sports too. As for how you access that information, it is all in the Motiv App. Unlike many wrist-worn fitness trackers like a fitbit, you cannot glance down and see your progress without looking at the app. And that is part of the simplicity…more on this below. The Motiv ring syncs wirelessly with the Motiv app to help you see your activity level and all the data being collected by the ring. The app is pretty simple without too much of a learning curve. The top portion of the Today page shows your current stats, as of the last sync. You do not need to carry your phone with you at all times, the ring memory lasts three days, which is about the same as the battery life. So you can sync it when you charge it if you don't have your phone on you the whole time. There is a social component where you can add friends but I haven't added any yet so I'm not able to review that feature. One big mindset shift to be aware of is that the Motiv Ring focuses more on daily active minutes than step count. 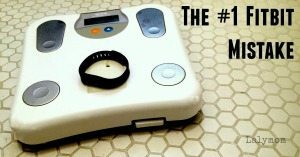 It does calculate step count, and strives to match the accuracy of foot pod style trackers. But their main goal is not to count every little step you take to the couch or the bathroom, it's to get us moving in a way that makes an impact on our health. So if you are used to focusing on the step count each day, just a heads up, this is a different way to look at your day. I will say that knowing my Motiv ring is tracking my active minutes it makes me want to pick up the pace when I am out for a walk. It's no longer just about the distance, but how hard I work. 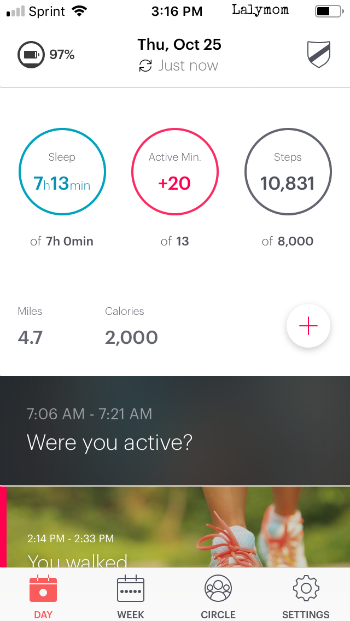 Motiv Ring Vs. Fitbit: How Does the Ring Compare? 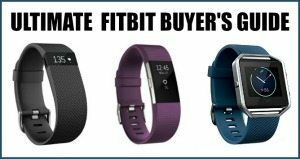 Comparing the Motiv Ring to a Fitbit seems pretty obvious, since Fitbit is the brand of fitness trackers that most people have heard of and have probably already used. But honestly, the Motiv Ring isn't trying to be a Fitbit. In this age of endless interruptions- pinging mobile phones, annoying computer notifications and buzzing smart watches vying for our attention- Motiv Ring stands out by the way that it blends in. Years ago my husband had a fancy smartwatch that notified him of every text, call and email. It also had games and apps. If you think you spend too much time on your smart phone, you have to see someone with a smart watch. It's crazy. That smartwatch now sits unused. The pull of the screen was overwhelming. Too much, especially if you get work emails on your smartphone. That is the beauty of Motiv Ring. It tracks what you need it to, and that is all. If you need call and text notifications, different watch faces to choose from, or to pay using your fitness tracker, you probably want a Fitbit Ionic or Versa. If you want a gorgeous, unobtrusive piece of jewelry that houses an impressive piece of tech, then Motiv Ring could just be what you're looking for. The Motiv ring isn't for sale at as many outlets as other fitness trackers just yet. I've been tracking the price of the Motiv ring and it seems pretty consistent, and has always been the same price on their own website as well as Amazon. It ships for free from their website, and you have the benefit of working directly with the company if you have any questions or need to change sizes. So, I highly recommend ordering directly from the company. I emailed support with a couple questions and they were fantastic. But money is money, so it can't hurt to check both. You can see the price on Motiv's Website right here or see the Motiv Ring on Amazon here. Have you tried the new Motiv Ring Fitness Tracker? Let's hear your thoughts in the comments below.